Reality Check Radio has issued a challenge to debate the meaning of “natural born citizen” in Article II of the US Constitution. Must natural born citizens have two US Citizen parents? RC promises equal time to both sides in the 90 minute debate to be broadcast live. I’m not sure that RC had tongue in cheek when he said: “I say let’s get this settled.” Nevertheless, if the birther side shows up it should make for some good theater. What’s Orly up to this new year? Yes, firmly planted, I am not naive enough to believe that this will settle it. However, it would be educational and provide a good juxtaposition of the positions for people who are not well informed on the issue. 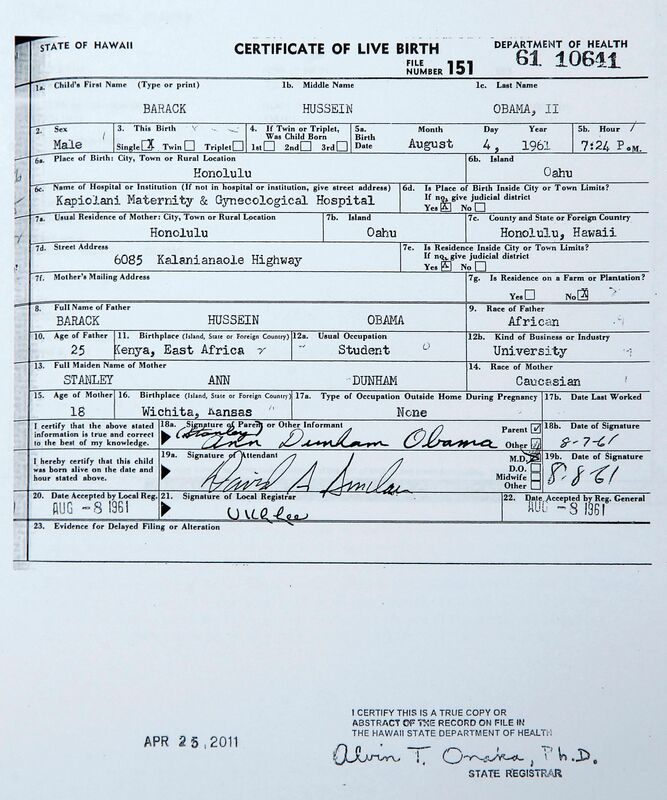 Let’s not forget that there are some birthers – the “natural law” birthers – who believe that only one citizen parent is required, provided it is the father. I guess that puts them on the fringe of a fringe. Here is my take on the two parent citizen requirement. The problem with Vattelites in their argument that the term Natural Born Citizen is founded on Roman or Civil Law instead of English Common Law is that their argument demonstrate their ignorance that the Constitution provisions were framed in the language of the English Common Law and their argument ignore the historical development of Anglo-American jurisprudence that is rooted in the English Common Law. Since the drafters of the Constitution wrote it in the language of the English common law then according to statutory construction that unless otherwise defined in the Constitution, words are to be taken at their ordinary and contemporary meaning. “ A fundamental canon of statutory construction is that, unless otherwise defined, words will be interpreted as taking their ordinary, contemporary, common meaning.” Perrin v. United States, 444 US 37,42 (1979). In other words, If drafters of the Constitution used words in the Constitution that have a common law meaning then it is PRESUMED that drafters intended common law application of the words UNLESS there is language in the Constitution that intended a contrary interpretation of the words. As such, the term natural born citizen is a derivation of the term natural born subject that was a judicially created concept as articulated by Blackstone in his Commentaries of the Laws of England (1765) then UNLESS the founding fathers intended a different meaning other than the common law rule meaning of natural born citizen it was the responsibility of drafters to incorporate this different meaning. The failure of the drafters to indicate a different meaning other than the common law meaning of natural born citizen in the Constitution demonstrated that the drafters intended to incorporate the established common law meaning of natural born citizen. Does it take 45 min to say, “Ummmm …. nope”? 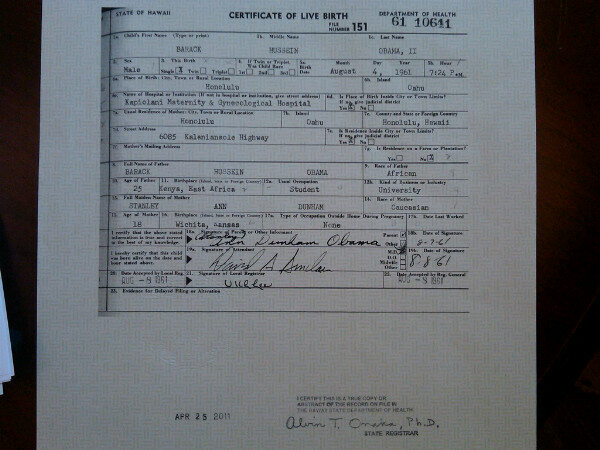 Too bad no birther will ever read it. There was a monetary advantage to the Obama administration from the birther lawsuits. Orly Taitz had to pay a $20,000 sanction to the General Fund for wasting a US DIstrict Court’s time with birther nonsense.. I don’t trust RC. RC tries to pass himself off as a moderator when he is really die hard supporter who bows to the FogBow. Are you sure there’s more than one of those? That sounds like “Jedi Pauly”. Even his crazy screeds seemed to be a bridge too far for most of the Birthers. I don’t recall him getting any traction. with “anti-birthers.” He fancies himself as an expert on the natural born citizen requirement. There are a gaggle of birther “experts” (oxymoron) over there. Even “Buttedezillion” has resurfaced and is active lately. She actually wants to impeach the New Hampshire Supreme Court for ruling against her beliefs! Butterdezillion is a flat out fascist. That would be why they appealed Ankeny v. Daniels to the Supreme Court, right? Oh, wait, they did not. Like all Birther zealots and trolls, they are only important and feel tough in their own heads. They simply can’t sustain a credible and adult argument in an informed and uncensored forum. Ankeny v. Daniels was dismissed on Standing. Birther arguments were rejected on the basis of standing. Without standing, an appeal was not likely to be successful. john: Ankeny v. Daniels was dismissed on Standing. Birther arguments were rejected on the basis of standing. Without standing, an appeal was not likely to be successful. DiogenesLamp says that he is not going to accept anything but the rantings of the voices in his head. He didn’t use those words, but that is basically what he said. He says that no matter what any courts say, he knows the TRUTH!!! and that is all that he will accept. He’s actually clearly mentally unbalanced, as if butterdezillion. I actually feel sorry for her. She’s clearly struggling with all types of voices in her head telling her of impending doom because President Obama is the President of the United States and NO ONE will go to her website and read the proof she has typed there. There’s so much crazy between these two that it’s hard to take them seriously. James777, I used to read your post there before they banned you and you tried valiantly to help those folks but no luck and when you joked with them about being paid, all hell broke loose……..they didn’t get that joke AT ALL. I’m don’t know if you are an Obama supporter or not and it really doesn’t matter, but you certainly know what makes a natural burn citizen, and it’s ain’t both parents being citizens when you (the child) are born or like some birthers say, both parents who themselves are also born on U. S. soil before you can be a natural born citizen yourself. 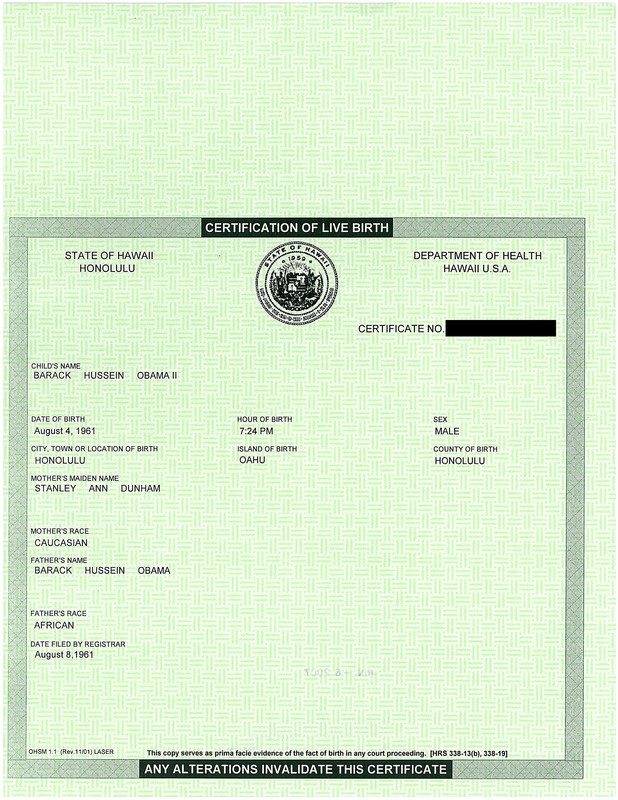 These types of birthers raise the bar as high as they think they need to so as to make sure that President Obama cannot scale it. Like I said, lots of crazy going on between butterdezillion and DiagoneseLamp. Ankeny v. Daniels was dismissed on Standing.Birther arguments were rejected on the basis of standing.Without standing, an appeal was not likely to be successful. John once again puts his ignorance on display for all to see. Are you sure there’s more than one of those?That sounds like “Jedi Pauly”.Even his crazy screeds seemed to be a bridge too far for most of the Birthers.I don’t recall him getting any traction. This guy has been posting as “R. Van Wagner” (apparently his real name) and his profile says that he lives in Pennsylvania. Patrick at Bad Fiction has outed Jedi Pauly, and his name isn’t R. Van Wagner. The trial court in Ankeny dismissed the suit under Indiana Trial Rule 12(B)(6) and 12(B)(1). These deal with “failure to state a claim” that the court can act upon and lack of jurisdiction. The appeals court in part based its decision on the legal insufficiency of Ankeny’s arguments about Obama’s eligibility. But I don’t understand your general objection. If Ankeny was appealed once, why not twice? Many birther lawsuits lacking standing were appealed. Well I must ask, given that all of the federal birther lawsuits were dismissed for lack of standing (and those who brought them should have known this in advance), it would seem that they are all (at least since Berg v Obama et al) publicity stunts. 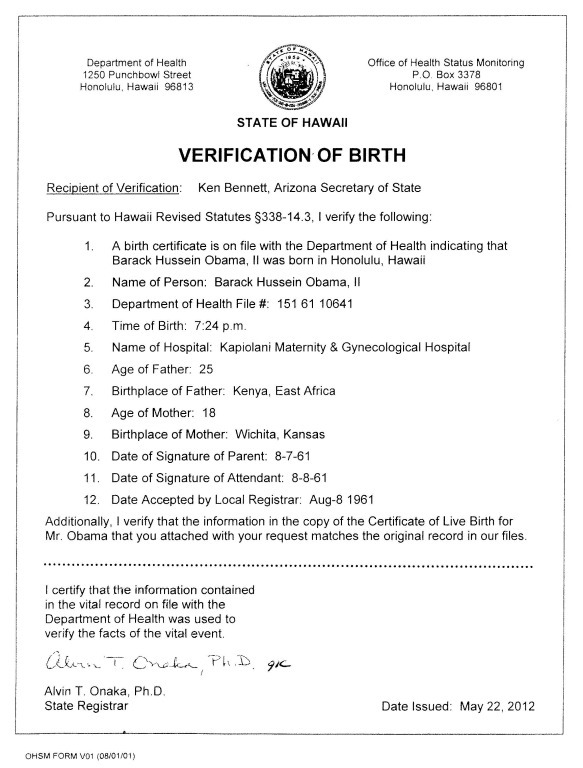 The other big birther activity is also publicity — web sites, letters to the editor. So why should they shy away from debate? Most people with “big ideas” are willing to debate. If the birthers actually had a superior argument, wouldn’t it be to their advantage to have it heard? john: I doubt anyone will accept the challenge RC. Of course, birthers will openly accept a challenge in a court trial where the stakes are much better; Obama is to found to be ineligible. This debate offers very little to birthers. There is no monetary profit. Thanks for the clarification & explanation. So, is RVW’s reasoning different from Paduwan Pauly’s weird misogynist rants of “natural law” rule by “male seed”…? Rickey: This guy has been posting as “R. Van Wagner” (apparently his real name) and his profile says that he lives in Pennsylvania. Patrick at Bad Fiction has outed Jedi Pauly, and his name isn’t R. Van Wagner. Rickey: John once again puts his ignorance on display for all to see. When reviewing the dismissal, the Appeal’s Court looked at the arguments renewed and found that President Obama is a natural born citizen. Lack of standing is lack of merit my dear friend. 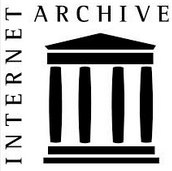 But if you want to have your arguments heard, then the Court in Ankeny v Daniels did hear them and rejected them. Somehow you appear to continue to ‘forget’ this. Why do you think a birther lawsuit should be exempt from the same requirements every other lawsuit has to meet? Guess who’s shown up in the comments over at RC’s site? Familiar birther Calvin case touting clown, MichaelN! That shameless pathological liar is back and trotting out the same tired and dishonest arguments and misrepresentations of that case that kept getting him called out and soundly thrashed over here time and time again. I’m not in US of A, and I am not experienced in oral ‘debate’ i.e. as in a formal debate. I will be happy to debate & discuss here in writing, if that’s ok with you. I have yet to see anyone rebut the facts I have presented hereand provide any sound evidence that would make it reasonable to believe a) the framers of the Constitution of US intended “natural” to mean “native” (i.e.”native” as meaning born in the land) & b)that the SCOTUS has held or ruled that “natural born citizen” (as per and in the context of USC Article II) means anything other than born in US AND to US citizen parents. The funniest part is he’s still trying to claim that no one’s ever rebutted his facts… LMAO! What a pathological liar and craven coward he is! Standing is “crap”? We should be allowed to gum up the works with randomly-generated fantasies passed off as litigation? I was wondering where Michaeln went- he was recently monologuing at Politicalforum- one guy- a Brit- actually patiently went step by step over a series of multiple posting with Michaeln- pointing out the issues with his ‘interpretation’ of Calvin. Michael of course rejects all arguments based upon anything other than Michael’s interpretation- except when he quote Apuzzo of course. I will trade MichaelN back to Doc for a 5th round draft choice and a Birther to be named later. Simply not true. The case was dismissed because the Vattel theory had no merit since the court concluded “that persons born within the borders of the United States are “natural born Citizens” for Article II, Section 1 purposes, regardless of the citizenship of their parents.” Hence, the plaintiff did not present a legal theory upon which relief could be granted. That is the holding. You guys ever get anything right? sfjeff: I was wondering where Michaeln went- he was recently monologuing at Politicalforum- one guy- a Brit- actually patiently went step by step over a series of multiple posting with Michaeln- pointing out the issues with his interpretation’ of Calvin. Michael of course rejects all arguments based upon anything other than Michael’s interpretation- except when he quote Apuzzo of course. Doesn’t even Apuzzo ignore his Calvin’s case nonsense? Doesn’t even Apuzzo ignore his Calvin’s Case nonsense. I know he keeps repeating it over and over and over. Has any birther listened to him? I haven’t followed up on Apuzzo as much as I should. I seem to recall at one time he acknowledged that the Common Law definition of natural born citizen was the right one, only that common law required citizen parents — and that must have involved some bastardization of Calvin’s Case. Ballantine: Doesn’t even Apuzzo ignore his Calvin’s Case nonsense. I know he keeps repeating it over and over and over. Has any birther listened to him? Dr. Conspiracy: I haven’t followed up on Apuzzo as much as I should. I seem to recall at one time he acknowledged that the Common Law definition of natural born citizen was the right one, only that common law required citizen parents — and that must have involved some bastardization of Calvin’s Case. Since Minor v. Happersett says one must resort to the common law to define NBC, he claims that the law of nations is our common law which, of course, doesn’t even make sense. He just ignores that Wong Kim Ark also says resort must be made to the common law but leaves no doubt such is the English common law like the Court has always said when interpreting the Constitution.